These quality beach towels are 30"x60" for great coverage & absorbency. Constructed of super soft 100% polyester front 100% cotton back. 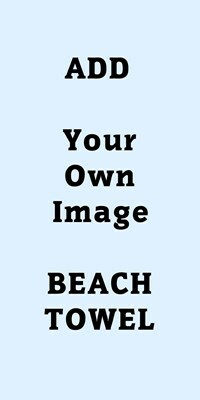 Add your own image or photo to beach towel, home products, click edit and upload your image, crop and save.